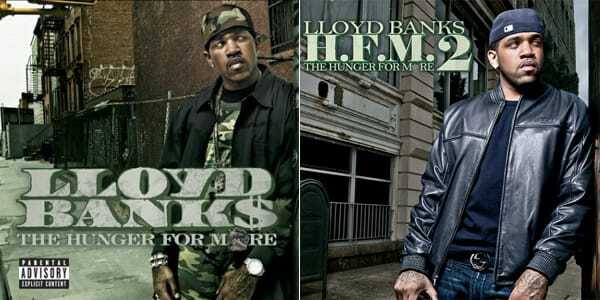 Earlier this week, G-Unit&apos;s Punchline King, Lloyd Banks, revealed the artwork to his upcoming Hunger For More 2. As is often the case when rappers make album sequels, his artwork was actually a remake of the artwork for the original Hunger For More. We&apos;ve been looking at different types of album artwork lately, so it&apos;s only right we take a look back at some other examples of rappers remaking their own artwork. Do It Again: When Rappers Redo Their Album Covers is for the rap fans who have seen it all before.